The Powerstroke® P3 Black Suede™ features overtone control with accentuated low-end, soft feel and a distinctive matte black look. 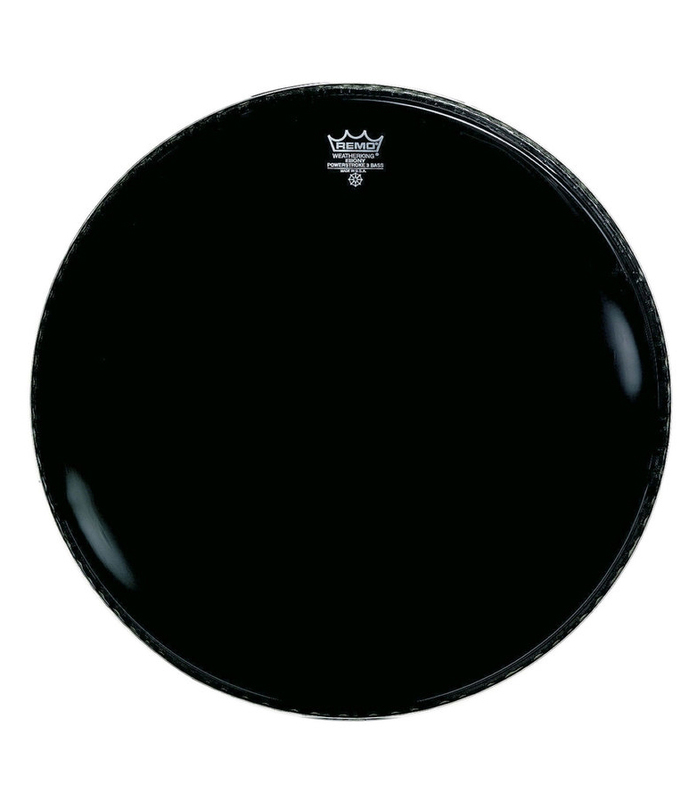 Constructed with 1-ply of 10-mil textured film, Powerstroke® P3 Black Suede™ drumheads provide a 10-mil inlay ring at the outer edge of the drumhead to subtly dampen high frequency overtones. This accentuates the low end fundamental for Bass Drum applications. Available in sizes 18" - 26". Bass Powerstroke 3 Ambassador Black Suede 2 from Remo is 100% original and brand new. We, at Melody House take pride in our after sales service and support. For further details on the bass powerstroke 3 ambassador black suede 2, Remo, simply write to us to consult an expert or order online and we will take care of the rest. Happy Shopping!